Veterans Affairs officials say they are chipping away at a backlog of applications for health care, following an inspector general's report in September that found 300,000 veterans on the eligibility waiting list were dead. 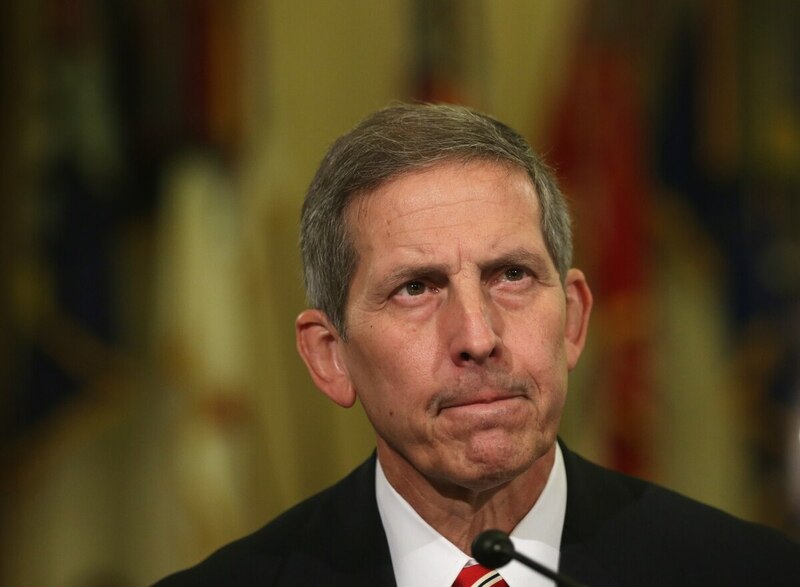 VA Deputy Secretary Sloan Gibson said Wednesday that VA has implemented a plan to improve its health care application system, starting with a review of more than 560,000 pending requests — from the living — including 30,000 from combat veterans who should have automatically qualified but wound up in the system because they didn't submit income information that was not actually required. Gibson said that since Dec. 11, VA employees had reviewed a third of the 30,000 combat veterans' applications and enrolled about 2,200 patients. It will continue reviewing all combat veterans' applications and then move on to reviewing applications from every living veteran on the list, he added. "The overarching goals of the Veterans Enrollment Rework Project is to fix the enrollment system and enroll veterans as quickly as we can," Gibson said during a phone call with reporters Wednesday. A VA OIG report published in September found that the VA health eligibility system contained 847,882 applications but 307,000 on the list had died, according to the Social Security Administration. The review also found that as many as 10,000 applications may have been deleted in the past five years and veterans weren't notified of the mistake. VA officials said there were many deceased veterans in the system because they cannot be purged unless the death is verified by either a death certificate, a record of death from a VA facility or notification from the National Cemetery Administration. VA does not accept Social Security Administration, Medicare, Defense Department or other government entity notifications as proof of death. Gibson said that after VA reviews applications from living veterans, it will review the applications of deceased veterans to determine whether their delayed applications and lack of access to VA health care contributed to their deaths. "I want to emphasize a sincere apology to veterans and their families. It was not right by the veterans and we were not being good stewards of taxpayer dollars," Gibson said. Scott Davis, a VA employee and whistleblower who exposed the problems at the Health Eligibility Center in July, said he is glad to see VA has a plan to address issues but questions the department's approach. He said VA officials could change the policy that prevents the combat veterans from being automatically approved, opening up health care to the 30,000 waiting, and he noted that employees who worked at the Health Eligibility Center while the backlog rose are the same employees conducting the review. "How can the subject of an investigation perform the duties of fixing the problem?" Davis said. He added that the bulk of applications — 80 percent — originated at VA medical centers and that reviewers at the HEC do not have access to those records. "This is a smokescreen," he said of the review. Benita Miller, director of the Health Eligibility Center, was transferred last week to a lower ranking job at a regional office, according to Gibson. He said the transfer had been in the works but added it "was not a bad time to have a change in leadership at the office." He also promised to hold senior managers accountable if the review uncovers evidence of "misconduct or substantial mismanagement." Davis said the transfer sends the wrong message to veterans about accountability. "It's an insult. This is not the type of image you want — that no matter how bad you screw up or deny veterans access to care, you still have a senior management job at VA."